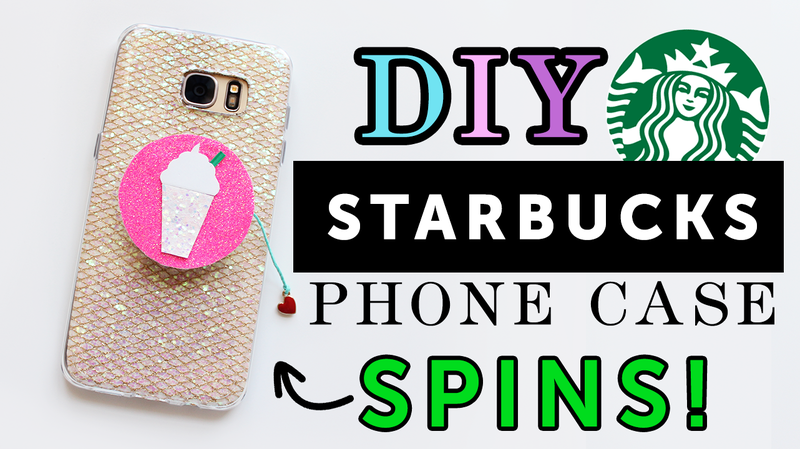 DIY Starbucks Phone Case - It SPINS! 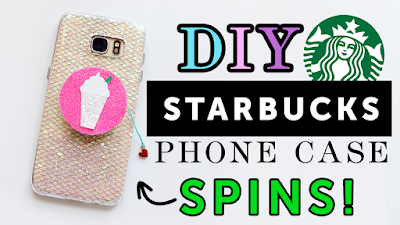 Today, we're going to be making a DIY Starbucks phone case that SPINS! Yes, that's right - a spinning DIY Starbucks phone case. I love the way this phone case turned out, and am currently obsessed with it because it sparkles and sort of has this holographic look to it. I sincerely hope that you do give this DIY spinning phone case a try because it is a really fun and cool way to spice up your phone case. It also makes a great gift between friends and family members, especially for any Starbucks fan out there. Please note that if you don’t like Starbucks Frappuccinos, feel free to make changes. Instead of a spinning Starbucks Frappuccino, you can make a spinning puppy, panda, cupcake, etc. It's your masterpiece so go ahead and make adjustments to make it your own. If you recreate this DIY Starbucks phone case, please share your masterpiece with me via my social media @JuneBeautique! I would love to feature your crafts in my next DIY video. 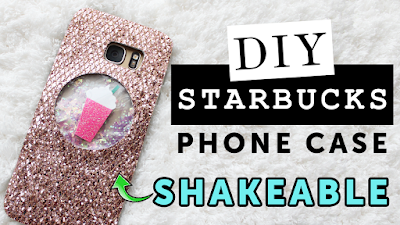 I hope you enjoyed this DIY Starbucks phone case tutorial. Thank you so much for stopping by!